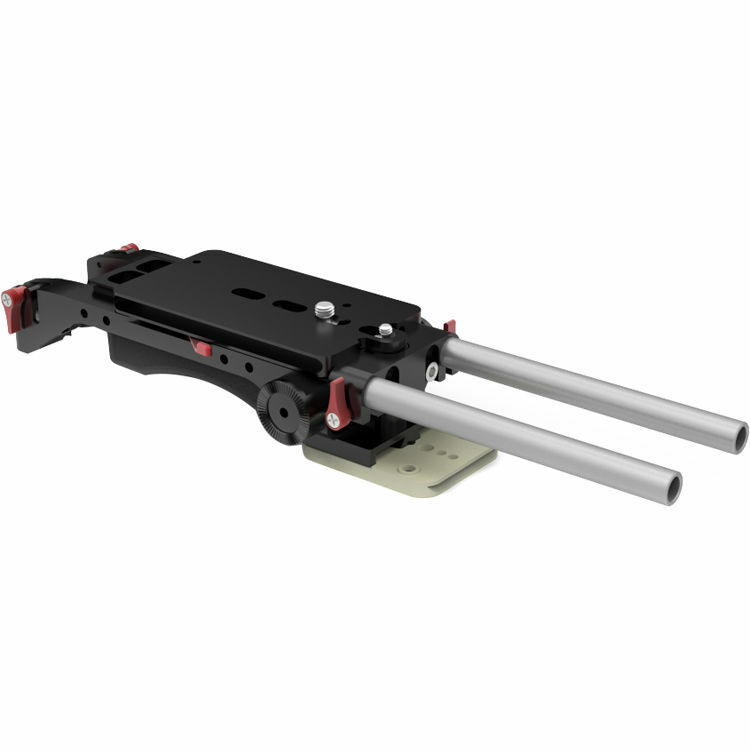 The Vocas USBP-15 MKII Adjustable Baseplate Shoulder System can be used for converting your camera into a shoulder camera. It is compatible with the Sony PXW-FS5, ARRI ALEXA Mini, Canon EOS C100/C300/C500, and Panasonic VariCam HS/S35 cameras. The baseplate package includes the Camera Adapter Plate, Standard Shoulder Pad, and two 15mm aluminum 8.3" rods. Box Dimensions (LxWxH) 12.3 x 7.3 x 3.7"